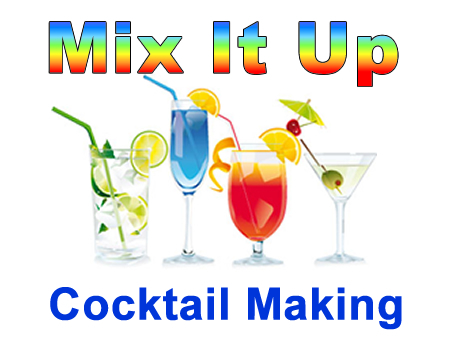 The Mix It Up Cocktail Making team building activity is a great way to engage and strengthen your team. This event is not only a fun and entertaining event, but also has many team building benefits. At the start of the Mix It Up Cocktail Making event, your group will be divided into teams which will compete against each other for the title of the Mix It Up Cocktail Making champions. For the first challenge, the teams will receive a recipe that they must prepare. The teams will be given time to plan before mixing the cocktail. Teams will then move on to the final challenge where they will have to create their own cocktail mix with an original name and look. The teams will also have to work on their presentation and “sell” their new cocktail to the judges and other teams. Teams will be judged on their teamwork, originality, mixing method, presentation and of course taste. 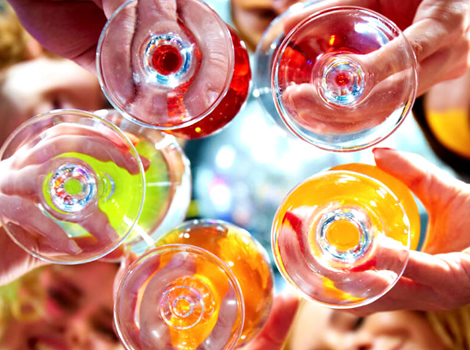 The Mix It Up Cocktail Making team building activity is an effective way for your team to bond and to learn how to work better as a team. Having fun together in a team building event like this will strengthen team bonds and create trust between the team members. It will help you uncover strengths in your team you never knew existed as the participants push the boundaries of their creativity in a safe environment. Treat your team with this fun team building activity and reap the rewards of a more effective and productive team. Non-alcoholic options available.